To stroll the Ramblas of Barcelona is to walk the emblematic path tying the Plaça de Catalunya to the city’s famous port. The Ramblas are never empty; life unfolds on their tiles from the early morning hours to the wee hours of the night. The newsstands and flower shops, as well as the cafes and restaurants, keep the Ramblas lively all day long. 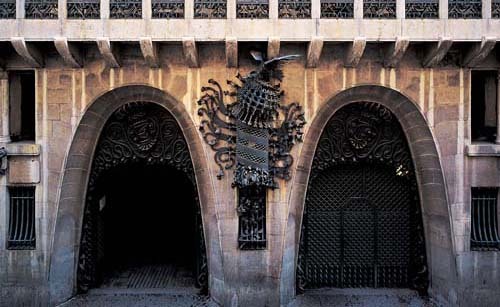 And of course we can’t forget the Mercat de la Boquería, one of the city’s largest and most famous tin-roofed markets. Buildings of cultural significance like the Liceu Theatre, the Palau de la Virreina, the Church of Bethlehem, the Palau Güell, the Maritime Museum of Barcelona, or the Santa Monica Center for the Arts, are just some of the structures that line the lively path of the Ramblas. You’ll also find monuments and historical sites of interest well worth visiting all along the way, like the Plaça Reial, the Canaletes fountain where FC Barcelona fans gather to celebrate, the Casa Bruno Quadros with its remarkable embellishments, or the Christopher Columbus monument. 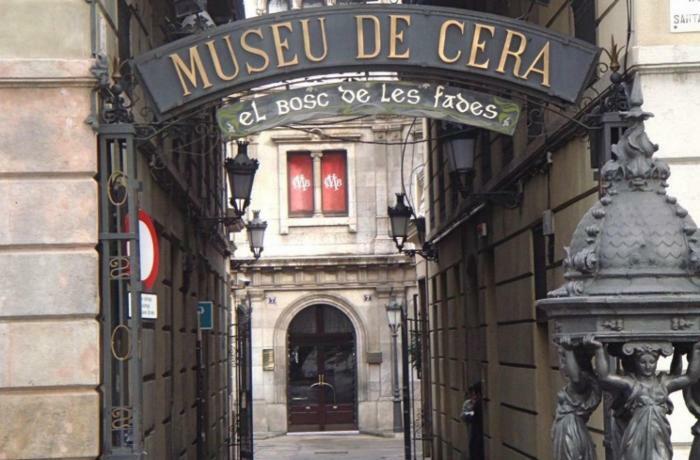 You can also have a delightful time at the Wax Museum of Barcelona (Passatge de la Banca 7), where you’ll discover fascinating celebrities from the world of music, culture, science, and history. Let alone its amazing collection, this museum, which opened to the public in 1973, is actually housed in a fabulous 1867 building, constructed in the neo-Classical style. The walk of terror, the vault, the grand staircase, and innumerable special hidden corners make this museum very special; and if you visit at night, you’ll have a truly unforgettable experience. Discover the human statues and street painters and experience their immense creativity and artistry. 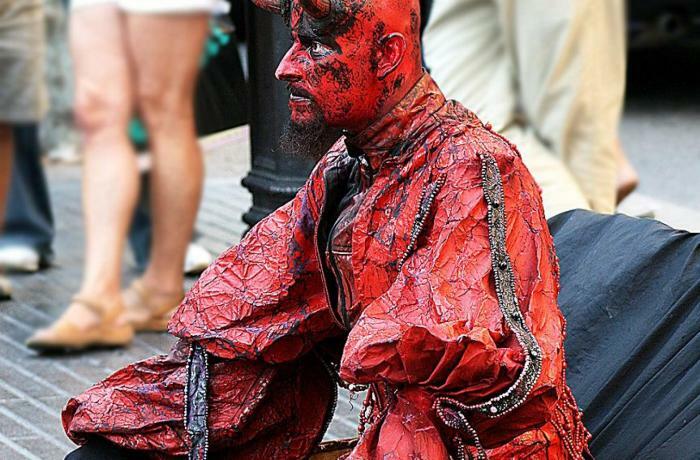 All along the Ramblas you’ll find artists who have transformed into living and breathing statues, in carefully crafted costumes, and striking poses that will leave any sight-seer stunned; particularly the little ones. The city’s street artists don’t hold back; they create authentic art made in Barcelona out of nothing but pure imagination and inspiration. The most famous are the caricature painters who create exaggerated portraits of their models. For an afternoon snack we recommend relishing in the pleasures of pastry available at the famous chocolatier Escribà (Las Rambles 83), which first opened in 1906. Its caramel candies, housemade chocolates in the shape of Dalí’s lips, scrumptious and exclusive cakes make this bakery an excellent place to pick up a truly authentic gift from Barcelona. Enjoy the rest of the night in the city’s famous spots, like el Bosc de las Fades and Bar Marsella, authentic bars in which to enjoy some drinks in the evening. 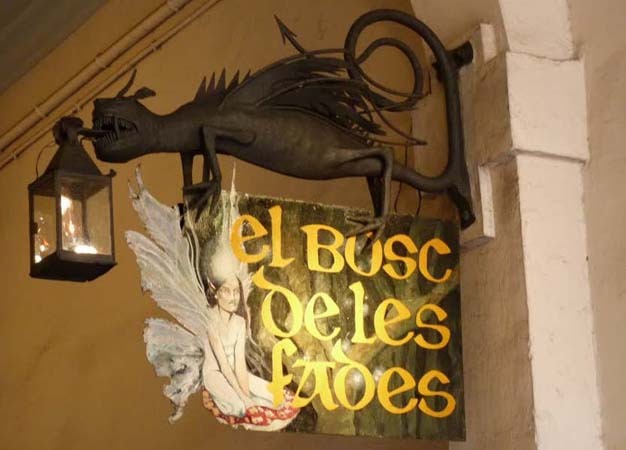 El Bosc de las Fades (Passatge de la Banca 5), is a magical place inhabited by mythical creatures and magical trees and wildlife. When you visit this enchanted forest, you’ll hear the sounds of nature and toast to the wonders of this special place. Bar Marsella (Sant Pau 65), open since 1820, is Barcelona’s classic go-to spot for meeting friends and drinking absinthe. With a spoon, a sugar cube, a lighter, and a good amount of water, you’ll have everything you need to enjoy the famous ritual of drinking absinthe, a Bar Marsella tradition for many years, and one of great fun. The Ramblas never fail to surprise!